“When I grow up, I want to be a singer,” reads a scribbled note. The author of that note was Kirstie when she was just a little girl. Kirstie made up her mind at a young age and has gone after this dream ever since. With hard work, persistence, pushing herself out of her comfort zone and seizing her opportunities. Kirstie is an open book, says it like it and loves connecting with her fans whom she calls her Thirsties. A Wisconsin native, Kirstie is loud and proud of her where she came from. ... See More Her dream to become a singer started when she was a child, beginning by singing for her large family. From there, she would be active in the community, offering her voice and cheerful disposition anywhere she could. Throughout the Midwest she rocked the stage with Wisconsin-based band Thirsty Jones. In 2017 Kirstie finally made the move. When she was 11 she made her first trip to Nashville, making regular visits since. Her love for the city went as far as looking for magnet middle schools to attend. Serious in her career as an artist, Kirstie packed up her bags and set her sights for Nashville. For those that have the pleasure of listening to Kirstie sing, they’ll find that she has a voice of power, certain with passion and liveliness, capable of melding genres to make a sound of her own. From country to pop, and add a little funk, her sound is bound to attract new fans from all different places. Her debut single Delusional proves that by grabbing attention from diverse audiences, all very receptive and providing Kirstie with an outpouring of positive feedback and support. As much as she loves being in the studio, Kirstie truly enjoys taking the stage and is looking forward to her second national tour this summer. 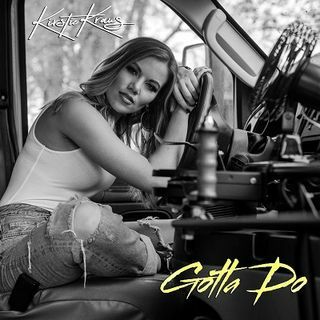 Kirstie has had the privilege to have some amazing Nashville talent on this upcoming this record including Rich Redmond (Drummer for Jason Aldean), John Billings (Bassist for Love Monkey’s), Ford Thurston (Guitarist for Randy Houser), Adam Box (Drummer for Brothers Osborne), Lee Turner (Keys for Darius Rucker) and Chris Benelli (Nashville Session Drummer).